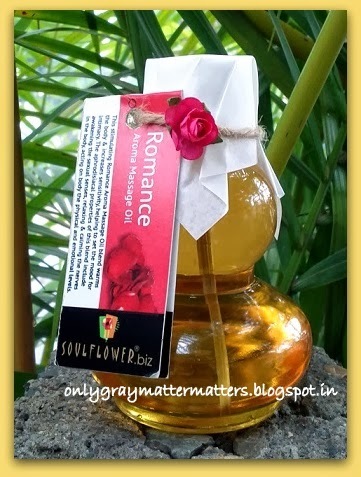 This is a review of Romance Aroma Massage Oil from Soulflower. Although this massage oil is marketed as a romantic aphrodisiac oil, it is in fact an awesome product for anyone to indulge in. It contains a lovely blend of mood enhancing essential oils, which not only instantly lift up your mood, but also relieve muscle and body ache, leaving you in total bliss and immense relaxation. This stimulating Romance Aroma Massage Oil blend warms the body and increases sensitivity, helping to set the mood for intimacy. The aphrodisiac properties of this blend include awakening the sexual senses, relaxing & calming the nerves in the body, acting on both the physical and emotional levels. I had received a 30ml bottle of this massage oil as a surprise gift during my very first order with Soulflower last year. I fell in love with it and finally purchased a full sized bottle recently. 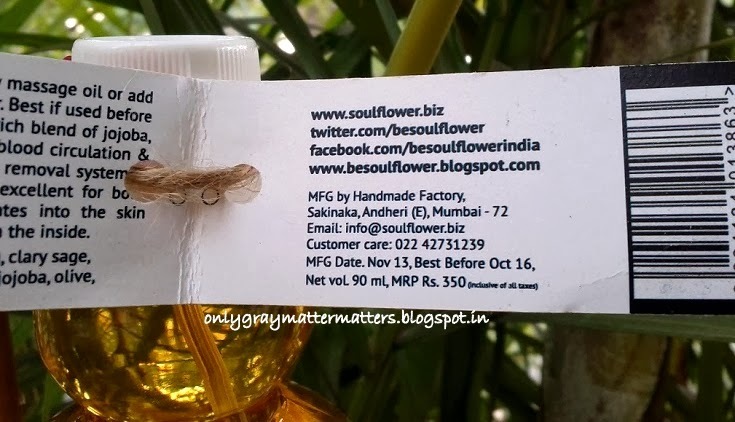 Availability: Can be easily bought online at soulflower.biz, flipkart.com and many other online stores. Also available at local Soulflower outlets in Shoppers' Stop or Soulflower stores in certain cities. This brand also offers a variety of other massage oils for different purposes, which you can check here. It comes in this cute little plastic bottle with a screw cap and there is a lid on the inside. You need to puncture a hole in the lid/dart to let the oil come out. The bottle is hard and you cannot squeeze it. You need to hold it upside down for the oil to come out. The bottle is lightweight, easy to carry and leak-proof. Orange, Ylang Ylang, Clary Sage and Lavender essential oils smell heavenly and therefore act as great mood enhancers. Vitamin E, Jojoba, Olive and Rice bran oils act as a base or carrier for these essential oils, as essential oils cannot be used directly on the skin. 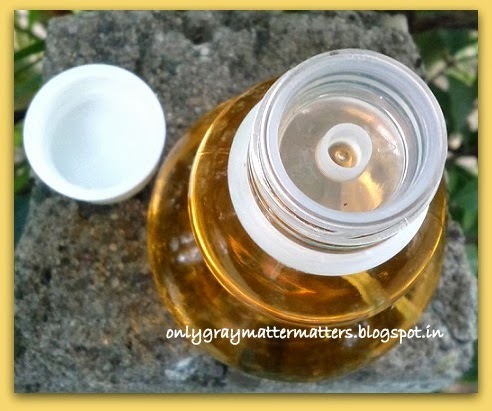 These carrier oils also nourish the skin, while sesame oil (Til Oil) helps relieve body ache. As a whole, this blend of oils improves blood circulation in the body thereby relaxing your muscles, treating body ache, helping remove toxins and blockages, and increasing the nutrient supply to the body through improved blood circulation. It also nourishes your skin and uplifts your mood. And when you are feeling so relaxed and happy, it perfectly sets you in the mood for some romance and intimacy with your loved one. However, the use of this massage oil is NOT limited to only that. Whether you had a bad day at office or in your personal life, or you had a very tiring day that has left your legs and body almost lifeless, or you have poor circulation in your feet and legs, or you are getting leg cramps during pregnancy or due to diabetes, or you are fighting pre-menstrual stress, or you are feeling low and depressed, or you have backache due to cold weather or a lot of physical activity, this massage oil is your answer. I had fallen off stairs a year ago and had incurred internal injury in both my feet. My feet suffer from poor circulation since then. Also, I spend long hours at my computer table in dire cold, which leaves me with a stiff back at night. I use this massage oil on my feet and back at night. It relieves all the body ache within a few minutes and makes me feel happy and light. I have also noticed that it induces sound sleep. I doze off within a few minutes of massaging this oil, as it gets absorbed deep within the skin with natural body heat. I also find it very helpful during periods when I apply it on my arms, feet, legs and back. It cures my body ache and pulls me out of the low tired mood. My mother has poor blood circulation in her shoulder because of sleeping on one side for many years and I had purchased this massage oil mainly for her. It has helped her a lot and she is also using it daily. Only 3-4 drops of this massage oil are required to cover one area, say one arm or one shoulder. Unlike traditional oils, it does not make your clothes smell weird or bad. In fact, the aroma from your hands and body keeps reaching your nose, inducing a calm relaxed sleep. HOW TO USE ROMANCE AROMA MASSAGE OIL? Caution: If you or your partner has any special conditions like high blood pressure, always check with your doctor first before using essential oils as they are directly absorbed into the bloodstream and some may increase your heart rate, while others may reduce it to calm you. Aromatherapy massage is a great way to pamper yourself or to connect with your partner. 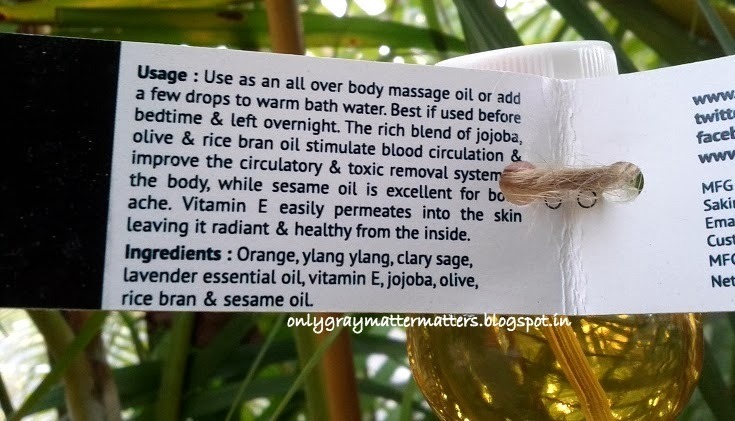 If you are unwell and unable to massage yourself, simply add a few drops of this massage oil in warm bathing water and either soak in it or just bathe with it. If your partner usually returns home physically and mentally tired or is too tensed to sleep at night, do invest in a good quality aromatherapy massage oil. Never pour massage oil directly on the body. Always warm your hands by rubbing them together, then pour a few drops on warm palms and then start massaging it into the skin. Heat and pressure help the essential oils to penetrate deep into the skin while the carrier oils ensure a smooth glide and reduce friction. Better do a google search on how to give an effective massage. Give each other a relaxing body massage to melt away all your tensions and strengthen your bond, and turn any day into a Valentine's day. Love and care are to be celebrated throughout the year and should not be limited to just one day. I have not tried their aroma therapy oils yet! These are really helpful in any kind of bodyache dear. You will love it for sure plus the fragrance is heavenly. I have tried their Vanilla Cinnamon Oil....absolutely love it! I so want to try that one too Ranjana because I love Vanilla flavor. Thanks so much for the feedback on that. It's on my wishlist now :) Would you like to review it? Yes Jasmine, massage oils give almost instant relief from bodyache. So they are very helpful in today's stressful times. Awww I missed out this fab comment of yours. 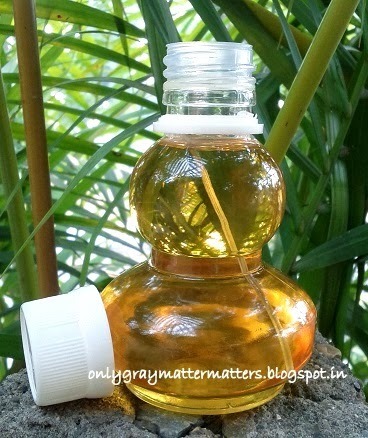 This oil is what I run to when my legs or back ache badly. I think this should help you Supriya. The fragrance is really uplifting too. I bought the Vanilla Cinnamon Oil few weeks back because I like the fragrance of Cinnamon. But other than putting it in warm water before bathing in winters I haven't found any other uses for it. There also the fragrance just lasts for few minutes and then vanishes. I was quite excited before buying the product but hasn't really lived up to my expectations. Hey Jyotika, I had added Vanilla Cinammon oil to my cart this time too (recently did a haul from Soulflower a few days ago) and then took it out thinking let me finish the Romance oil first. The fragrance for this one lasts realllly long. The reason they may not have put too much of Cinnamon essential oil is because it would have then burnt on the skin. I have a bottle of Cinnamon essential oil and it is EXTREMELY strong, just 2 drops of it BURN and the sting lasts very long too. Can you please share what have they added for Vanilla. Vanilla essential oil is extremely costly so I doubt they may have added beyond a few drops, the name could just be a motivational factor to encourage people to buy. But I was really looking fwd to getting that because of the Vanilla flavor. I now know exactly what goes in a masage oil and so want to make a blend of my own and may be make one for you too. It's an easy DIY but worth it only when you have a collection of oils else makes no sense to buy so many oils and mix them.